How Democracies Die (2018) examines the fundamental principles of democracy, with a look at historical cases – particularly in Latin America – where democracies have turned into dictatorships or autocracies. The authors examine how these democratic downfalls have happened, whether it could happen again in the future, and what could be done to prevent this dangerous and often lethal outcome. Attention is also given to the presidency of Donald Trump, to question his motives and determine whether he qualifies as an American autocrat. 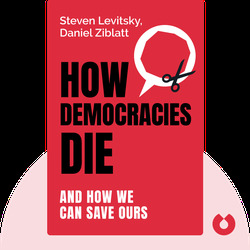 Steven Levitsky is a professor of government at Harvard University. His research has focused on Latin America and the developing world. He is the author of numerous journal articles on political science and the co-author of the book Competitive Authoritarianism: Hybrid Regimes after the Cold War. 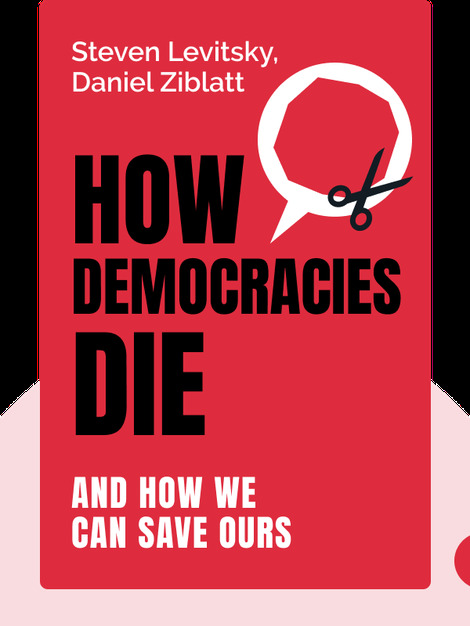 Daniel Ziblatt also teaches government at Harvard University, with a focus on modern European history. He is an award-winning scholar and author of the books Conservative Parties and the Birth of Democracy and Structuring the State: the Formation of Italy and Germany and the Puzzle of Federalism.